Why do celebrities whiten their teeth? Because they know a sparkling smile is a key to looking great, feeling great, and making a memorable impression. 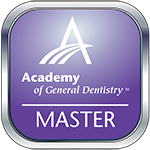 There is a strong link between a healthy , brighter smile and success in the workplace and social situations. Now everyone can feel like a celebrity and enjoy an outstanding smile by getting their teeth their whitest thanks to the Zoom! whitening system. 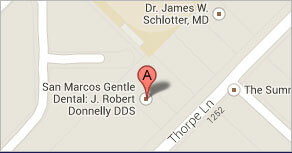 This system is offered at Dr. Donnelly’s office in San Marcos. Zoom! patients are getting teeth an average of eight shades whiter in about an hour, giving them an immediate boost in confidence. Besides being fast, it’s safe, effective, and convenient. No more days of wearing trays. More than a tooth whitening procedure, Zoom! is an experience in image enhancement and self-esteem…. plus instant gratification. The Zoom!whitening procedure is simple and painless. It begins with a short preparation to isolate your lips and gums. We then apply the proprietary Zoom! whitening gel, which is activated by a specially designed light. A five-minute fluoride treatment completes the procedure. You’ll be amazed with the results! In most cases, teeth get even whiter the first few days after the procedure. Zoom! allows people with even the busiest of lifestyles to feel dramatically better about their appearance in just about an hour. Call and make your appointment at Dr. Donnelly’s office today.